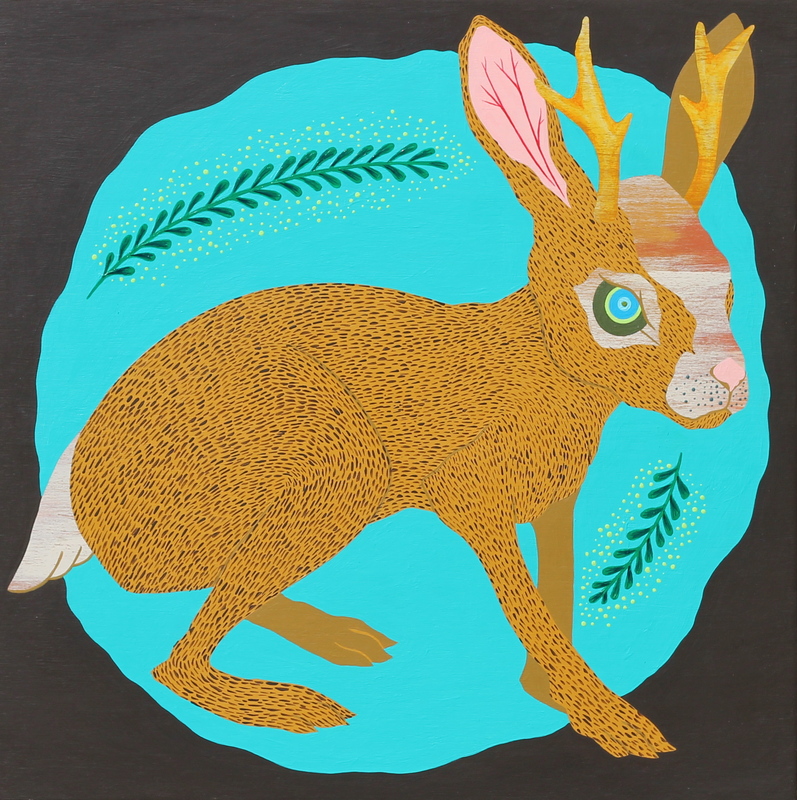 I got an email the other week from a dude who saw my work at Respite and wanted to know if I had any jackalopes. I have painted a lot of horns and rabbits lately, but no jackalopes…until now. He wanted the piece as an anniversary gift (apparently its an inside joke about whether jackalopes really exist). I, for one, totally wish they were real. They are pretty sweet looking animals. I used a 14″ square birch panel that I had on hand. I had already laid down a few thin layers of paint as a base coat on the panel and I thought it would make the perfect backdrop for this piece. You can see some of that in the image on the left below. Some of the wood grain still even shows through, which I really like. I put the same fur detail on this guy as I did on the two rabbits. It definitely takes patience, but I really like the end result. Next time somebody asks me about a jackalope, I’ll be happy to say the legend lives on.